This piece in the exhibition in SF was similar to one I did at Galerie West in Den Haag. 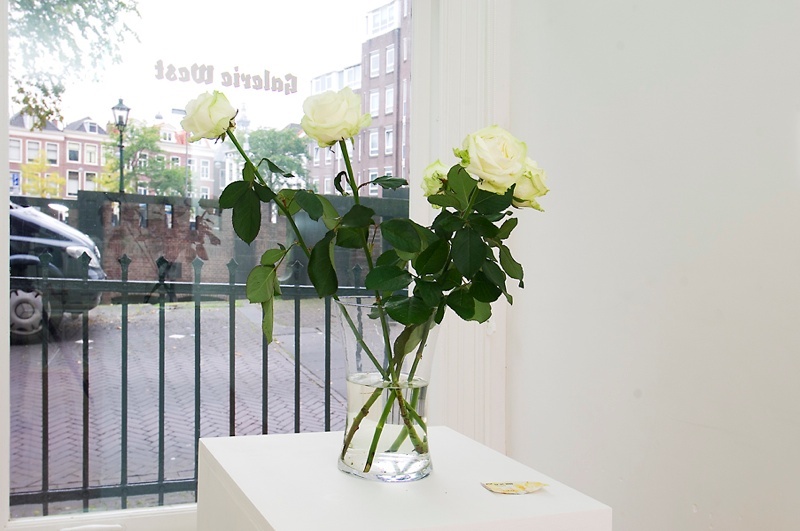 In Holland I created a bouquet of white roses by traveling around the country by rail for the duration of a day. I took random trains and rode them to their final stops, and then jumped on a different train going in a different direction. Throughout the day I never left the train or station. Each time I switched trains, I would find the flower vendor in the station (most stations have flower vendors) and purchase one white rose. By the end of the day I had an entire bouquet, with each flower from a different station in a different part of the country. Possibly, the roses were from the same farm, and this act was re-collecting something that, once was concentrated together, and is now distributed over a large space. Bringing things back together that are far away from each other. In San Francisco I was staying at a friend's house in Oakland. 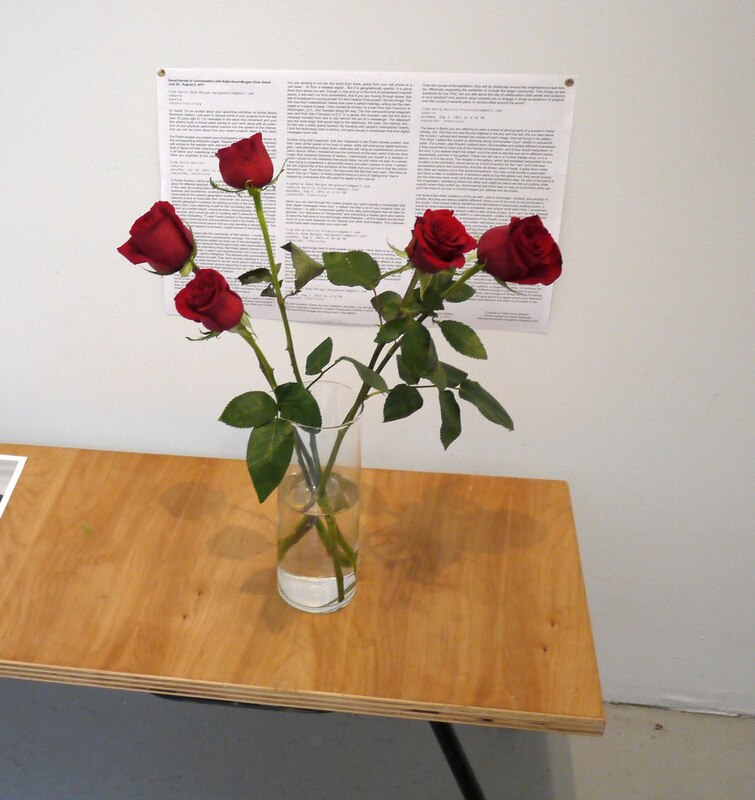 The day before the opening, I went from her house to the gallery, collecting red roses along the way.